The Annual Conference on South Asia offers limited space for publishing companies, universities, organizations, educational programs and more to rent booths to sell books and merchandise. Booths are sold on a first come, first served basis. The conference organizers keep a waiting list in case of cancellations and will offer that booth space to publishers in order of request. As space is rented, the site will be updated with how many available spaces remain, and prior to the conference, a full map of the exhibit space will be posted for exhibitors and conference attendees. *The Book Exhibit Room will remain open later on both Thursday, October 11 and Friday, October 12 for our Thursday and Friday evening cash-bar receptions; Publishers can expect a large influx of traffic during these extended hours. 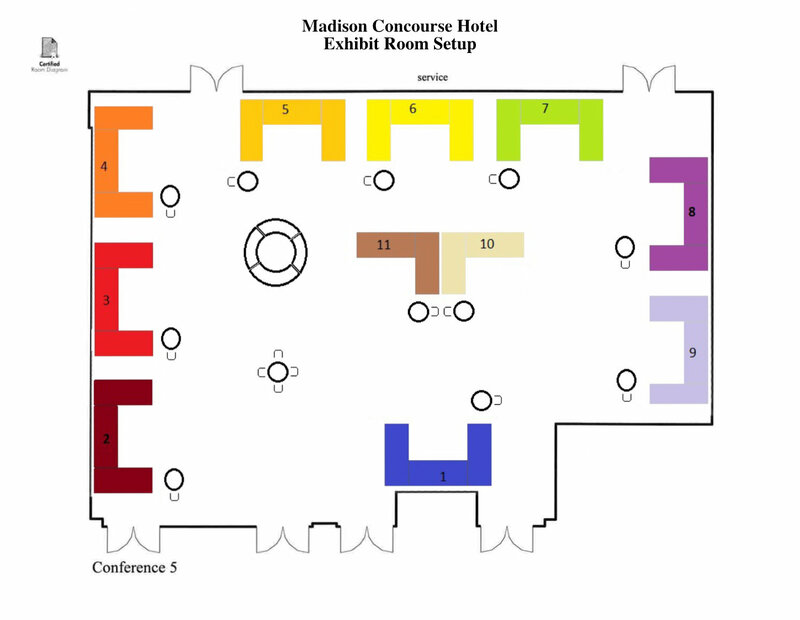 Below is a diagram of the Madison Ballroom with exhibit spaces available. Exhibitors are subject to change prior to the conference.